Being one of the top ten emerging markets of the future, Nigeria is a country brimming with opportunities. Its rapidly increasing economy has made it an epicentre for countless lucrative prospects for individuals. With a population of 186 million and counting, the obvious dilemma is about commuting from one place to another. Owing to such demand, the transportation industry in Nigeria has grown leaps and bounds and still continues to garner huge attention. So, if you are thinking to venture into the taxi industry in Nigeria, then you are on the right track to building your successful future. The taxi industry in Nigeria isn’t devoid of competition and so, it requires a great deal of strategizing and planning to strike gold in the market. Here are some crucial considerations you must make while starting your own taxi business in Nigeria. The foremost decision you should make is to determine the kind of service you are going to offer your customers. Are you planning to build a taxi business dedicated to airport transportation, paratransit services or a general-purpose transportation service? Based on this factor, you should move on to the next vital step – Research. Instead of diving in blind, you should understand your audience, your competitors, their services and industry fares. Also, nowadays, many taxi businesses leverage new technologies, including taxi dispatch system and taxi mobile application, to smoothly operate their business and reach out to the tech-savvy customers of today. Find out how your business can include such innovation in your operations. Where some taxi companies purchase or hire taxi owners to receive revenue, other players tend to rent taxis and collect returns on a daily basis. Depending on your business model and your capital investment, you can make your own choice. Also, make sure your vehicle is equipped for your target audience. At this stage, it is time to set all the legal documents in order. First up, you need to register your company under a unique name and apply for your business license. If you are going to hire your own employees and purchase your vehicle, you must also take care of commercial driver license and vehicle registration. In Nigeria, the legal fees differ from state to state. It is advisable to hire a professional to take care of these documents. Any business has its share of risks and when it comes to a taxi business, anything can go wrong and at any moment. So, it’s a wise decision to set up an insurance for your company. 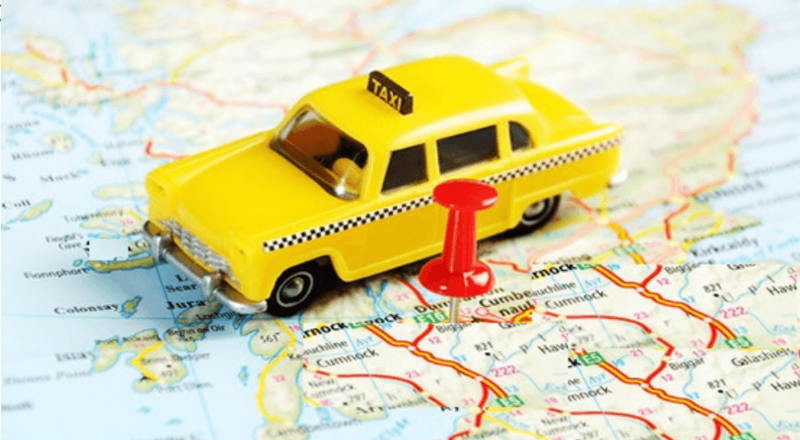 Another important element of your taxi business strategy is marketing and advertising. Try to identify the channels through which you can reach your customers at an early stage. Whether you want to stick to traditional media, digital channels or a combination of both, set up a clear and effective strategy to attract your target audience.